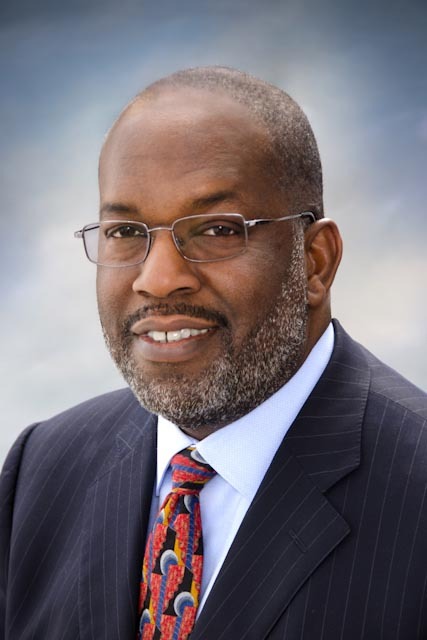 “It’s something our members wanted, they have it and they love it,” said Kaiser Permanente’s Incoming Chairman and Chief Executive Officer, Bernard J. Tyson, in a recent telephone interview. The “it” Mr. Tyson is referring to is the digital technology that allows Kaiser Permanente members to email their physicians. To date, there are “14 million e-visits,” he said, and members gain access via a free Smartphone mobile app. This digital technology builds relationships with physicians, Mr. Tyson said. The mobile app model allows patients to build a relationship with their physician, establish that relationship and then it’s driven by the members working with his/her physicians through online technology, he added. Members email their physicians with questions; they can make appointments and access lab results. It’s driven from members perspectives. “I did three e-visits with questions for my physician.” The e-visit allowed me to have direct interaction with my physician, he said. And, if I needed to see my physician, I’d make an appointment online. 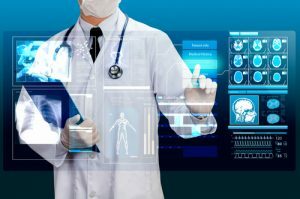 Digital technology is transforming health care and patients are accessing their doctors digitally. The biggest challenge of digital technology (e-visits), said Mr. Tyson, is that Kaiser Permanente’s physicians are already putting in full days. “Now our physicians are working ten, twelve hour days, and then they go home and they may work another couple hours to catch up on emails.” There’s an increase in demand, but that’s a challenge, not a drawback, he said. “It’s an opportunity for technology that is readily available.” There are no incentives for physicians to email their patients, all physicians at Kaiser Permanente participate and engage with patients via e-visits. Roughly 4.2 million of the more than 9.1 million Kaiser Permanente members are registered with KP HealthConnect™, and 32 million lab results have been viewed online, according to Mr. Tyson. 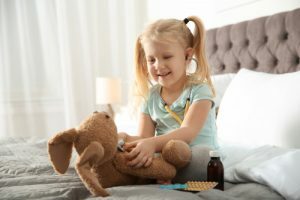 There have been 118 million visits to KP.org and over 12 million prescriptions have been filled via securely online using Kaiser Permanente’s electronic medical record technology. Emailing with physicians may prevent an unnecessary visit so patients “love it,” said Tyson, “This is part of Kaiser Permanente’s connected care. Since members are already emailing their physicians, the next natural progression is to move to telehealth, said Mr. Tyson. 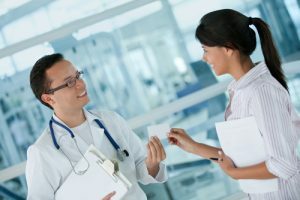 Physicians want to maintain visual contact with the patient, but that doesn’t necessarily mean the patient needs to come in for a doctor’s visit each and every time. Designing the medical home of the future is being tackled at Kaiser Permanente’s Sidney R. Garfield Health Care Innovation Center. Tyson talked about an interactive refrigerator. When you touch the refrigerator it tells you your calorie count, what’s in there, and what you should be eating, he said. It provides you with information to help you make smart choices in life. “It provides an incredible opportunity to provide health information.” You may take a tour of the Sidney R. Garfield Health Care Innovation Center here. “In the future, you’ll see how technology will support people with chronic diseases,” Tyson added. 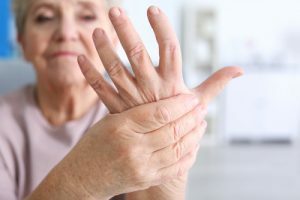 For patients with complex demands there will be medication management, appointment management and reminders for patients to take their pills. 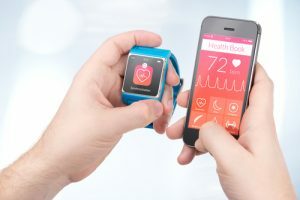 Technology will allow these health care silos to come together and make way for integration and coordination among all aspects of the health care industry, said Tyson. I loved speaking with Bernard Tyson. His energy and enthusiasm for technology is evident. Having leaders at the helm who take the leap because they know it’s the “now” and not the “someday” approach is what creates positive change. “At Kaiser Permanente it’s “not the, we wish, we believe, it’ll be happening; we’re doing it at Kaiser Permanente,” said Tyson. “The future is here,” he added. Kaiser Permanente’s vision: “How to help a person live a healthy life, not to just keep coming to Kaiser Permanente,” said Mr. Tyson. Transforming health care begins with leaders ready to take a risk, jump the curve and plunge into new ideas to create a better and healthier life. Is Social Media a Fit for Doctors?